Operator Oando Energy Resources Inc. The OML 131 licence area covers 1,204 km² (301,000 acres). 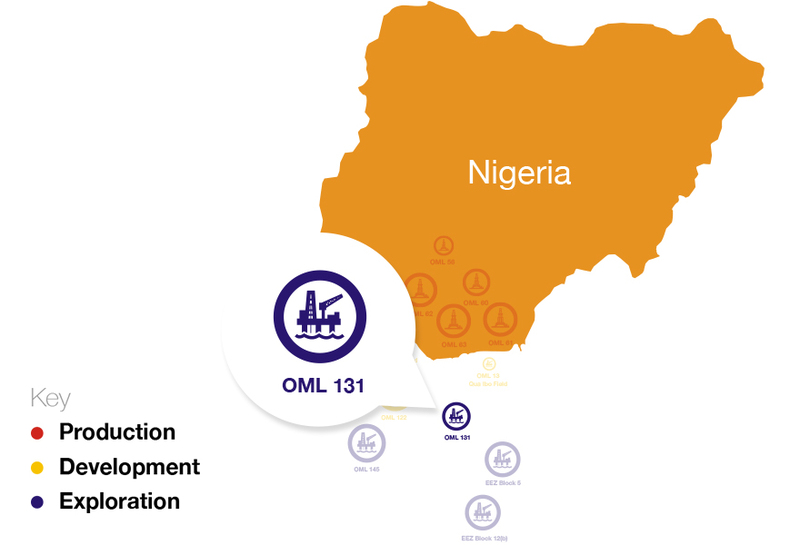 OML 131 is located approximately 70 km south of the western Niger Delta coastline at a water depth of 500 m to 1,200 m.
Within the licence Area there are two undeveloped oil and gas discoveries (Bolia-chota and Ebitemi ) and several untested prospects. The Chota field has been proven to extend into the Bolia field (OML 135, Shell Operator). The duration of the Production Sharing Contract (PSC) is 30 years from July 5, 1993, inclusive of a 10-year exploration period (OPL) and a 20-year OML period, with a 50% relinquishment at OPL to OML conversion.